Athletes are humans too, and they sometimes look for a performance improvement through technological enhancements. In my forthcoming book, The Edge: The War Against Cheating and Corruption in the Cutthroat World of Elite Sports, I discuss a range of technological augmentations to both people and to sports, and the challenges that they pose for rule making. In humans, such improvements can be the result of surgery to reshape (like laser eye surgery) or strengthen (such as replacing a ligament with a tendon) the body to aid performance, or to add biological or non-biological parts that the individual wasn’t born with. One well-known case of technological augmentation involved the South African sprinter Oscar Pistorius, who ran in the 2012 Olympic Games on prosthetic “blades” below his knees (during happier days for the athlete who is currently jailed in South Africa for the killing of his girlfriend, Reeva Steenkamp). Years before the London Games Pistorius began to have success on the track running against able-bodied athletes. As a consequence of this success and Pistorius’s interest in competing at the Olympic games, the International Association of Athletics Federations (or IAAF, which oversees elite track and field competitions) introduced a rule in 2007, focused specifically on Pistorius, prohibiting the “use of any technical device that incorporates springs, wheels, or any other element that provides the user with an advantage over another athlete not using such a device.” Under this rule, Pistorius was determined by the IAAF to be ineligible to compete against able-bodied athletes. Pistorius appealed the decision to the Court of Arbitration for Sport. The appeal hinged on answering a metaphysical question—how fast would Pistorius have run had he been born with functioning legs below the knee? In other words, did the blades give him an advantage over other athletes that the hypothetical, able-bodied Oscar Pistorius would not have had? Because there never was an able-bodied Pistorius, the CAS looked to scientists to answer the question. CAS concluded that the IAAF was in fact fixing the rules to prevent Pistorius from competing and that “at least some IAAF officials had determined that they did not want Mr. Pistorius to be acknowledged as eligible to compete in international IAAF-sanctioned events, regardless of the results that properly conducted scientific studies might demonstrate.” CAS determined that it was the responsibility of the IAAF to show “on the balance of probabilities” that Pistorius gained an advantage by running on his blades. CAS concluded that the research commissioned by the IAAF did not show conclusively such an advantage. In the Pistorius case, under the rules for inclusion in the Olympic games the burden of proof had been on the IAAF, not the athlete, to demonstrate the presence of an advantage provided by technology. This precedent was overturned in 2015, when the IAAF quietly introduced a new rule that in such cases reverses the burden of proof. The switch placed the burden of proof on the athlete instead of the governing body. The new rule—which we might call the Rehm Rule, given its timing—states that an athlete with a prosthetic limb (specifically, any “mechanical aid”) cannot participate in IAAF events “unless the athlete can establish on the balance of probabilities that the use of an aid would not provide him with an overall competitive advantage over an athlete not using such aid.” This new rule effectively slammed the door to participation by Paralympians with prosthetics from participating in Olympic Games. Even if an athlete might have the resources to enlist researchers to carefully study his or her performance, the IAAF requires the athlete to do something that is very difficult, and often altogether impossible—to prove a negative. I have written many times about human augmentation and the possibility that what is now viewed as a ‘normal’ body may one day be viewed as subpar or inferior is not all that farfetched. David Epstein’s 2014 TED talk “Are athletes really getting faster, better, stronger?” points out that in addition to sports technology innovations athletes’ bodies have changed considerably since the beginning of the 20th century. He doesn’t discuss body augmentation but it seems increasingly likely not just for athletes but for everyone. I knew Eero Mäntyranta had magic blood, but I hadn’t expected to see it in his face. I had tracked him down above the Arctic Circle in Finland where he was — what else? — a reindeer farmer. He was all red. Not just the crimson sweater with knitted reindeer crossing his belly, but his actual skin. It was cardinal dappled with violet, his nose a bulbous purple plum. In the pictures I’d seen of him in Sports Illustrated in the 1960s — when he’d won three Olympic gold medals in cross-country skiing — he was still white. But now, as an older man, his special blood had turned him red. Mäntyranta had about 50 percent more red blood cells than a normal man. If Armstrong [Lance Armstrong, cyclist] had as many red blood cells as Mäntyranta, cycling rules would have barred him from even starting a race, unless he could prove it was a natural condition. Epstein also covers the Pistorius story, albeit with more detail about the science and controversy of determining whether someone with prosthetics may have an advantage over an able-bodied athlete. Scientists don’t agree about whether or not there is an advantage. I have many other posts on the topic of augmentation. You can find them under the Human Enhancement category and you can also try the tag, machine/flesh. This entry was posted in human enhancement and tagged 1960 Olympics, 2016 Olympics, Are athletes really getting faster better stronger?, athletes, Brazil, Court of Arbitration for Sport (CAS), David Epstein, Eero Mäntyranta, Finland, Germany, International Association of Athletics Federations (IAAF), King's College London, Markus Rehm, Olympic athletes, Oscar Pistorius, Paralympians, prosthetic blades, prosthetics, Reeva Steenkamp, Rehm Rule, Roger Pielke Jr., Silvia Camporesi, South Africa, technological augmentations, TED talk, The Edge: The War Against Cheating and Corruption in the Cutthroat World of Elite Sports on August 8, 2016 by Maryse de la Giroday. It’s all about road infrastructure in these two news bits. The solution for affordable road infrastructure development could lie in the use of nanotechnology, according to a paper presented at the 35th annual Southern African Transport Conference in Pretoria. The cost of upgrading, maintaining and rehabilitating road infrastructure with limited funds makes it impossible for sub-Saharan Africa to become competitive in the world market, according to Professor Gerrit Jordaan of the University of Pretoria, a speaker at the conference. The affordability of road infrastructure depends on the materials used, the environment in which the road will be built and the traffic that will be using the road, explained Professor James Maina of the department of civil engineering at the University of Pretoria. Hauling materials to a construction site contributes hugely to costs, which planners try to minimise by getting materials closer to the site. But if there aren’t good quality materials near the site, another option is to modify poor quality materials for construction purposes. This is where nanotechnology comes in, he explained. For example, if the material is clay soil, it has a high affinity to water so when it absorbs water it expands, and when it dries out it contracts. Nanotechnology can make the soil water repellent. “Essentially, nanotechnology changes the properties to work for the construction process,” he said. These nanotechnology-based products have been used successfully in many parts of the world, including India, the USA and in the West African region. There have also been concerns about road building and maintenance in Kerala, India. Citizens can now look forward to better roads with the local self-government department planning to use nanotechnology to construct all-weather roads. For the district trial run, the department has selected a 300-metre stretch of a panchayat road in Edakkattuvayal panchayat. The trial would experiment with nanotechnology to build moisture resistant, long-lasting and maintenance-free roads. “Like the public, the department is also fed up with the poor condition of roads in the state. Crores of rupees are spent every year for repairing and resurfacing the roads. This is because of heavy rains in the state that weakens the soil base of roads, resulting in potholes that affect the ride-quality of the road surface,” said KT Sajan, assistant executive engineer, LSGD, who is supervising the work. The nanotechnology has been developed by Zydex Technologies, a Gujarat-headquartered firm. The company’s technology has already been used by major private contract firms that build national highways in India and in other major projects in European and African countries. Revolutionary nanotechnology for building moisture resistant, long lasting & maintenance free roads through innovative adaptation of Organosilane chemistry. Zydex Nanotechnology makes the soil moisture resistant, reduces expansiveness and stabilizes the soil to improve its bearing strength manifold. If used with 1% cement, it can stabilize almost any type of soil, by improving the California Bearing Ratio (CBR) to even 100 or above. Here is the real change in game, as stronger soil bases would now allow optimization of road section thicknesses, potentially saving 10-15% road construction cost. Prime & Tack coats become 100 % waterproofed, due to penetration and chemical bonding. This also ensures uniform load transfer. And all this at lower residual bitumen. Chemical bonding between aggregates and asphalt eliminates moisture induced damage of asphaltic layers. I hadn’t meant to wait so long to publish the bit about Kerala’s road but serendipity has allowed me to link it to a piece about South Africa ‘s roads and to note a resemblance to the problems encountered in both regions. This entry was posted in coatings, construction, nanotechnology and tagged 35th annual Southern African Transport Conference, Gerrit Jordaan, India, James Maina, Kerala, Kochi, KT Sajan, road infrastructure, roads, South Africa, sub-Saharan Africa, Terrasil, University of Pretoria, US, West Africa, Zycotherm, Zydex Technologies on July 19, 2016 by Maryse de la Giroday. This is unapologetically connected to FutureFest, the festival Nesta (where I work) is holding this weekend in London Bridge. These thoughts represent the ideas that piqued my interest while curating talks and exhibits based on the thought experiment of a future African city-superpower. George Clinton, Spoek Mathambo, Tegan Bristow and Fabian-Carlos Guhl (from Ampion Venture Bus) will be speaking during the weekend. Thomas Aquilina is displaying photographs from his trip and the architects of the Lagos 2060 project will take part in a debate on whether their fiction can lead to a different kind of future. Strong stories or visions of the future stick around. The 1920s sci-fi fantasy of a jetpack commute still pops up in discussions about the future of technology, not to mention as an option on the Citymapper travel app. By co-opting or creating new visions of the future, it seems possible to influence the development of new products and services – from consumer tech to urban infrastructure. A new generation of African artists is taking over the mantle of Afrofuturist arts from a US-centred crowd. They could bring a welcome change to how technology is developed in the region, as well as a challenge to the dominance of imported plans for urban development. Last Thursday’s London gig from Fantasma was sweaty and boisterous. It was also very different from the remix of Joy Division’s She’s Lost Control that brought front man Spoek Mathambo to the attention of a global audience a couple of years ago. Fantasma is a group of South African musicians with different backgrounds. Guitarist Bhekisenzo Cele started the gig with three of his own songs, introducing the traditional Zulu maskandi music that they went on to mix with shangaan electro, hiphop, punk, electronica and everything in between. The gig had a buzz about it. But the performance was from a new collective trying things out; it wasn’t as genre-smashing as expected. And expectations ride high for Spoek. In 2011, he titled a collection from his back catalogue ‘Beyond Afrofuturism’. He took on, at least in name, a whole Afro-American cultural movement: embodied by musicians like Sun Ra, George Clinton and Drexciya. A previous post on this blog by Chardine Taylor-Stone describes the roots of Afrofuturism in science fiction that centres on space travel and human enhancement. But she goes on to say: “Afrofuturism also goes beyond spaceships, androids and aliens, and encompasses African mythology and cosmology with an aim to connect those from across the Black Diaspora to their forgotten African ancestry.” Spoek shares what he calls a cultural lineage with this movement. But he is not Afro-American. He also shares a cultural lineage with the sounds of South African musicians he grew up listening to. Other forms of art are taking an increasingly activist role in the future of technology. Lydia Nicholas’s description of the relationship between Douglas Adam’s fictional Hitchhiker’s Guide and the real life development of the iPad shows how science fiction can effortlessly influence the development of new technology. Gaston Berger was the Senegalese founder of the academic journal Prospectiv in 1957. To many, he was the first futurist, or at least one of the first people to describe themselves as one. He founded promotes the practice of playing out the human consequences of today’s action. This is about avoiding a fatalistic approach to the future: about being proactive and provoking change, as much as anticipating it. Berger’s early work spawned a generation, and then another and another, of professional futurists. They work in different ways and different places. Some are in government, enticing and frightening politicians with the prospect of a different transport system, healthcare sector or national security regime. Some are consultants to large companies, offering advice on the way that trends like 3D printing or flying robots will change their sector. An article from 1996 does a good job of summarising the principles of this movement: don’t act like an ostrich and ignore the future by putting your head in the sand; don’t act like a fireman and just respond to threats to your future; and don’t focus just on insurance against for the future. Bland has written an interesting and sprawling piece, which in some way reflects the subject. Africa is a huge and sprawling continent. Future Tense is hosting a conversation about Afrofuturism in New York City on December 3rd, 2015 from 6:30-8:30 p.m.
Will the alternative futures and realities Afrofuturism describes transform and reshape the concept of black identity? Join Future Tense for a discussion on Afrofuturism and its unique vantage on the challenges faced by black Americans and others throughout the African diaspora. During the event, enjoy an Afrofuturist inspired drink from 67 Orange Street. Follow the discussion online using #Afrofuturism and by following @NewAmericaNYC and @FutureTenseNow. Click here to RSVP. Space is limited so register now! It seems we have one word, Afrofuturism, and two definitions. One where Africa is referenced and one where African-American experience is referenced. Nesta (formerly NESTA, National Endowment for Science, Technology and the Arts) is an independent charity that works to increase the innovation capacity of the UK. The organisation acts through a combination of practical programmes, investment, policy and research, and the formation of partnerships to promote innovation across a broad range of sectors. This entry was posted in Music, science fiction, writing and tagged Africa, Afrofuturism, Afrofuturism: The World of Black Sci-Fi and Fantasy Culture, Aisha Harris, Ampion Venture Bus, Arizona State University, Ayodele Arigbabu, Beyond Afrofuturism, Bhekisenzo Cele, Chardine Taylor-Stone, DADA books, DADA Foundation, Drexciya, electronica, Fabian-Carlos Guhl, Fantasma, Future Tense, FutureFest (March 2015), futurism, Gaston Berger, George Clinton, hiphop, Ikire Jones, Jessica Bland, Juliana Huxtable, Lagos 2060, Lydia Nicholas, Michael Bennett, NESTA, NESTA (National Endowment for Science Technology and the Arts), Nigeria, Octavia Butler, Post Black: How A New Generation is Redefining African American Identity, Prospectiv, punk, science fiction collection Lagos 2060, Senegal, shangaan electro, Slate Magazine, South Africa, Spoek Mathambo, Sun Ra, Tegan Bristow, Thomas Aquilina, traditional Zulu maskandi music, UK, US, Walé Oyéjidé, Ytasha Womack on November 30, 2015 by Maryse de la Giroday. Un projet de réalisation d’un centre de recherche algéro-sud-africain dédié à la synthèse et la caractérisation des nanomatériaux (structures à l’échelle de l’atome) pour différentes applications, a été annoncé dimanche à Alger lors d’un workshop sur les nanotechnologies. Le lieu d’implantation du centre et le programme qui lui sera dédié seront décidés par le ministre de l’Enseignement supérieur et de la Recherche scientifique et son homologue sud-africain lors d’une réunion prévue en octobre prochain en Afrique du Sud, a indiqué Pr. Hafid Aourag, DG de la Recherche scientifique et du développement technologique qui présidait ce workshop entre experts algériens et sud africains sur les nanotechnologies. The announcement about the new centre was made during a nanotechnology workshop being held in Algiers this last weekend (Sept. 26-27, 2015). The proposed nanotechnology center’s location and other details will be decided by the Algerian Minister of Higher Education and Scientific Research and his South African counterpart during an October 2015 meeting in South Africa according to Hafid Aourag, professor and Director General of Scientific Research and Technological Development in Algeria. “La coopération de l’Algérie avec l’Afrique du Sud a atteint un stade très avancé”, a-t-il estimé, révélant l’existence de “beaucoup de projets entre les laboratoires de recherche des deux pays”. Pr. Aourag a rappelé que les deux pays avaient déjà “cofinancé plus de 25 projets” ayant donné des résultats concrets comme la publication de 35 travaux dans des revues et la réalisation de produits innovants issus des nanotechnologies. “Il s’agit essentiellement de produits issus des nanomatériaux dans les domaines de l’agriculture et du traitement de l’eau”, a-t-il précisé. There have been some 25 joint nanotechnology projects ranging from agricultural applications to water treatment. Il a relevé que la première centrale technologique en Algérie, dédiée à la fabrication des semi-conducteurs et spécialisée en nanotechnologie, “est déjà fonctionnelle et sera inaugurée, en octobre prochain”. If I understand this rightly, Aourag is saying that Algeria has focussed on the semiconductor industry and the fabrication of parts at the nanoscale and this will be inaugurated October 2015. It’s not clear to me if this business about the semiconductors is part of the nanotechnology centre initiative or if it’s an incidental, related announcement. Professor Malik Maaza, incumbent of the UNESCO-Unisa Africa Chair in Nanoscience and Nanotechnology, continues to represent the continent on the global nano stage. He was recently elected as the only African member of the advisory board of the Royal Society of Chemistry’s Journal of Materials Chemistry A, a prestigious materials journal. With about 20 years of experience in nanosciences, Algerian born and an adoptive South African [emphasis mine] Professor Malik Maaza is an ideal incumbent for the UNESCO-Unisa Africa Chair in Nanoscience and Nanotechnology. He has undergraduate degrees in Solid State Physics and Photonics from the University of Oran, Algeria, and University of Paris VI, France. His PhD in Neutron Optics was obtained from the University of Paris VI. He is a man passionate about voicing Africa’s nanoscience and nanotechnology knowledge production progress and contributions. Parallel to the initiation of the South African Nanotechnology Initiative (SANi) launched in 2006, which Maaza instigated with Dr Philemon Mjwara, current Director General of the national department of science and technology, in 2005, in Trieste-Italy, under the patronage of [The World Academy of Sciences] TWAS, [Abdus Salam International Centre for Theoretical Physics] ICTP and [United Nations Industrial Development Organization] UNIDO, he initiated the Nanosciences African Network (NANOAFNET), which has its headquarters at the iThemba LABS-NRF in Cape Town. That’s all I’ve got on Algeria-South Africa science-themed relations and connections. Should anyone have a better translation than I’ve been able to offer or more details about any aspect of this initiative, please do leave a comment. This entry was posted in nanotechnology and tagged Abdus Salam International Centre for Theoretical Physics (ICTP), Algeria, Hafid Aourag, ICTP, International Centre for Theoretical Physics (ICTP), Malik Maaza, Nanosciences African Network (NANOAFNET), Philemon Mjwara, Royal Society, South Africa, South African Nanotechnology Initiative (SANi), The World Academy of Sciences (TWAS), TWAS, UNESCO-Unisa Africa Chair in Nanoscience and Nanotechnology, UNIDO, United Nations Industrial Development Organization (UNIDO), University of South Africa on October 2, 2015 by Maryse de la Giroday. – Science communication and journalism. Abdellatif Bensfia will focus on the state of science communication in a country where major social changes are playing out, Morocco, while Olivier Monod will be speaking about “Chercheurs d’actu” (News Researchers), a system linking science with the news. Finally, Matthieu Ravaud and Fabrice Impériali from the CNRS (Centre National de Recherche Scientifique) will be presenting “CNRS Le journal”, the new on-line media for the general public. – Using animals in biomedical research. This round-table, chaired by Victor Demaria-Pesce, from the Groupement Interprofessionnel de Réflexion et de Communication sur la Recherche (Gircor) will provide an opportunity to spotlight one of society’s great debates: the use of animals in research. Different actors working in biomedical research will present their point of view on the subject, and the results of an analysis of public perception of animal experimentation will be presented. What are the norms in this field? What are the living conditions of the animals in laboratories? How is this research to be made legitimate? This session will centre on all these questions. – Science communication and the arts. This session will cover questions such as the relational interfaces between art and science, with in particular the presentation of “Pulse Project” with Michelle Lewis-King, and the Semaine du Cerveau (Brain Week) in Grenoble (Isabelle Le Brun). Music will also be there with the talk by Milla Karvonen from the University of Oulu, who will be speaking about the interaction between science and music, while Philippe Berthelot will talk about the art of telling the story of science as a communication tool. – Science on television. This workshop will also be in the form of a round table, with representatives from TVV (Vigyan Prasar, Inde), and Irene Lapuente (La Mandarina de Newton), Mico Tatalovic and Elizabeth Vidal (University of Cordoba), discussing how the world of science is represented on a mass media like television. Many questions will be debated, as for example the changing image of science on television, its historical context, or again, the impact these programmes have on audiences’ perceptions of science. To learn more, you will find the detailed list of all the workshops and plenaries in the provisional programme on-line. Science & You seems to be an ‘umbrella brand’ for the “Journées Hubert Curien” conference with plenaries and workshops and the “Science and Culture” forum, which may explain the variety of dates (June 1 – 6, June 2 – 5, and June 2 – 6) on the Science & You home page. At the invitation of the President of the Université de Lorraine, the professors Etienne Klein, Cédric Villani and Brigitte Kieffer accepted to endorse Science & You. It is an honour to be able to associate them with this major event in science communication, in which they are particularly involved. Cédric Villani is a French mathematician, the Director of the Institut Henri Poincaré and a professor at the Université Claude Bernard Lyon 1. His main research interests are in kinetic theory (Boltzmann and Vlasov equations and their variants), and optimal transport and its applications (Monge equation). He has received several national and international awards for his research, in particular the Fields Medal, which he received from the hands of the President of India at the 2010 International Congress of Mathematicians in Hyderabad (India). Since then he has played the role of spokesperson for the French mathematical community in media and political circles. 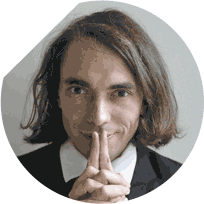 Cédric Villani regularly invests in science communication aiming at various audiences: conferences in schools, public conferences in France and abroad, regular participation in broadcasts and current affairs programmes and in science festivals. 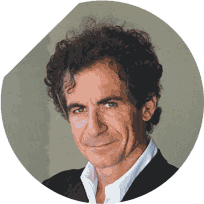 Etienne Klein is a French physicist, Director of Research at the CEA (Commissariat à l’énergie atomique et aux énergies alternatives – Alternative Energies and Atomic Energy Commission) and has a Ph.D. in philosophy of science. He teaches at the Ecole Centrale in Paris and is head of the Laboratoire de Recherche sur les Sciences de la Matière (LARSIM) at the CEA. He has taken part in several major projects, such as developing a method of isotope separation involving the use of lasers, and the study of a particle accelerator with superconducting cavities. He was involved in the design of the Large Hadron Collider (LHC) at CERN. He taught quantum physics and particle physics at Ecole Centrale in Paris for several years and currently teaches philosophy of science. He is a specialist on time in physics and is the author of a number of essays. He is also a member of the OPECST (Conseil de l’Office parlementaire d’évaluation des choix scientifiques et technologiques – Parliamentary Office for the Evaluation of Scientific and Technological Choices), of the French Academy of Technologies, and of the Conseil d’Orientation (Advisory Board) of the Institut Diderot. Until June 2014, he presented a weekly radio chronicle, Le Monde selon Etienne Klein, on the French national radio France Culture. B. L. Kieffer is Professor at McGill University and at the Université de Strasbourg France. She is also Visiting Professor at UCLA (Los Angeles, USA). She develops her research activity at IGBMC, one of the leading European centres of biomedical research. 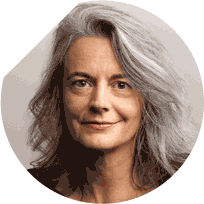 She is recipient of the Jules Martin (French Academy of Science, 2001) and the Lounsbery (French and US Academies of Science, 2004) Awards, and has become an EMBO Member in 2009. In 2012 she received the Lamonica Award of Neurology (French Academy of Science) and was nominated Chevalier de la Légion d’honneur. In December 2013 she was elected as a member of the French Academy of Sciences. In March 2014, she received the International L’OREAL-UNESCO Award for Women in Science (European Laureate). She started as the Scientific Director of the Douglas Hospital Research Centre, affiliated to McGill University in January 2014, and remains Professor at the University of Strasbourg, France. Following on the 2012 conference, this project will bring together all those interested in science communication: researchers, PhD students, science communicators, journalists, professionals from associations and museums, business leaders, politicians… A high-level scientific committee has been set up for this international conference, chaired by Professor Joëlle Le Marec, University of Paris 7, and counting among its members leading figures in science communication such as Bernard Schiele (Canada) or Hester du Plessis (South Africa). The JHC Conference will take place from June 2nd to 6th at the Centre Prouvé, Nancy. These four days will be dedicated to a various programme of plenary conferences and workshops on the theme of science communication today and tomorrow. You can find the Registration webpage here where you can get more information about the process and access the registration form. This entry was posted in science communication and tagged 2015 Science & You, Abdellatif Bensfia, Alternative Energies and Atomic Energy Commission, art/science, Bernard Schiele, Brigitte Kieffe, Canada, Cédric Villani, Centre National de Recherche Scientifique, Chercheurs d’actu (News Researchers), CNRS, CNRS Le journal, Commissariat à l’énergie atomique et aux énergies alternatives (Alternative Energies and Atomic Energy Commission), Ecole Centrale, Elizabeth Vidal, Etienne Klein, Fabrice Impériali, Finland, France, Groupement Interprofessionnel de Réflexion et de Communication sur la Recherche (Gircor), Hester du Plessis, Institut Henri Poincaré, Isabelle Le Brun, Joëlle Le Marec, Journées Hubert Curien conference with plenaries and workshops, Julian Dufort, Laboratoire de Recherche sur les Sciences de la Matière (LARSIM), Matthieu Ravaud, McGill University, Michelle Lewis-King, Mico Tatalovic, Milla Karvonen, Morocco, Olivier Monod, Philippe Berthelot, Pulse Project, Science & You 2015, Science and Culture forum, Science communication and the arts, Science on television. Irene Lapuente (La Mandarina de Newton), Semaine du Cerveau (Brain Week), South Africa, Spain, umbrella brand, Université Claude Bernard Lyon 1, Université de Lorraine, Université de Strasbourg, University of Cordoba, University of Oulu, University of Paris 7, Using animals in biomedical research, Victor Demaria-Pesce on May 4, 2015 by Maryse de la Giroday. There’s an international flavour to this month’s (August 2014) issue of The Nano Bite from the Nanoscale Informal Science Education Network (NISENet). The call was from Matt Harsh [currently at Concordia University, Montréal, Québec, Canada], a colleague from the Center for Nanotechnology in Society (CNS) [Arizona State University] who had run NanoDays with me a few times in Arizona. Evidently he had mentioned it to a professor in the Chemistry Department at the University of the Western Cape and she wanted her students to experience it. The workshop we had planned was only going to be held in the afternoons so my mornings were free. “Sure, why not? !” I said. But later as I thought about it I wondered…what the heck do I know about presenting science in Africa? A few days after I finished NanoDays at the Tempe Arizona Festival for the Arts I packed my bags for South Africa. At CNS we have been getting NanoDays kits for several years now and we had a few extra demos lying around. I gathered up a few of our favorites – Gummy Capsules, Sunblock, Invisibility Cloak, and You Decide! and added them to my luggage. The plans were all set. I was to have a morning to train a half dozen chemistry grad students in how to present nanotechnology and then we’d spend two days on the floor of the Cape Town Science Centre. A couple days after arriving in Cape Town, Matt and I found the small room at the University of the Western Cape (UWC) that we were to use for the training. As the rooibos tea was passed out I realized that there were a lot more people in the room than I anticipated. “Are you all graduate students?” I asked. “Um no…we’re here from Arcelor-Mittal.” “From where?” “The Arcelor-Mittal Science Centre in the Western Cape. We heard about the training and drove a few hours to get here this morning.” The Arcelor-Mittal staff eagerly explored the demos and made the training significantly better than it would have been. Matt and I taught the basics about nano and introduced the demos and then the science centre staff offered advice on how to present on the floor. The Arcelor-Mittal’s staff usually have a very tough job because their science centre is in the middle of an area that is only reluctantly abandoning Apartheid. One of the struggles is that the best schools in their area all teach in Afrikaans. As a result a large number of young people – those who speak English and/or Xhosa – can’t go to a good school. The Arcelor-Mittal staff therefore spend most of their time traveling to small villages to introduce kids to as much science as possible. For some of the schools they visit, the experiments they do with equipment from their van is the only science the kids will get. Read the full story about NanoDays in South Africa on the NISE Net Partner Highlight blog. Nano Around the World – a NISE Net short activity card game designed to get participants to reflect on the potential uses of nanotechnology across the globe. likes to grab a drink or two with his colleagues. Other characters include a Chinese factory worker, a Swedish taxicab driver, a Russian unemployed physicist, Slovakian Eurovision (talent contest for singers) contestant, and more. Nano Careers short video is a NISE Net linked product developed by Science Alberta and gets kids thinking big about nano careers by starting to think very small! You can also find this video on Science Alberta’s Wonderville website. The website was first mentioned here in an April 4, 2011 posting. There’s more information such as details about obtaining 2015 NISENet mini grants in the Aug. 2014 Nano Bite. * duplicate ‘the’ removed on Sept. 5, 2014. This entry was posted in nanotechnology, public engagement, public perceptions and tagged apartheid, Arcelor-Mittal Science Centre, Arizona State University, Canada, Center for Nanotechnology in Society, Concordia University, Jamey Wetmore, Matt Harsh, Nano Around the World, Nano Careers, NanoDays 2014, Nanoscale Informal Science Education Network, NISENet, Science Alberta, South Africa, The Nano Bite August 2014, University of the Western Cape, UWC, Wonderville on August 7, 2014 by Maryse de la Giroday. The establishment of University of the Western Cape (UWC)’s Centre for Green Nanotechnology was made a reality through a positive partnership between the University of Missouri (UM) and UWC that has spanned approximately 30 years. Another keynote speaker at the launch included Professor Kattesh Katti, who has been hailed as the “father of green nanotechnology” and cited as one of the 25 most influential scientists in molecular imaging in the world. Prof Katti will divide his time between the University of Missouri (where he heads up their Green Nanotechnology Centre) and UWC, where he will spend approximately 3-6 months of the year. Prof Katti noted that nanotechnology involves various role players – including scientists, biologists and chemists – working together. During his lecture, he focused on the use of green nanotechnologies to treat cancer. While the treatment of cancer utilising green nanotechnologies is still at experimental stages, he illustrated how the use of nanotechnologies could be the treatment of the future. He explained that current drugs used to treat cancers don’t always have the desired effect as the drugs don’t always penetrate tumours effectively due to their large size and approximately 60% of drugs go away from the intended target (tumour). Nanotechnology particles, due to their small size and their functioning, have the ability to penetrate tumours much more effectively. · The development of fundamental sciences as they relate to chemistry, physics and biomedical and alternative energy aspects of green nanotechnology. · Research and application on indigenous phyto-chemicals and phyto-mediated technologies for the production of green nanotechnologies with applications in medicine, energy and allied disciplines. · New green nanotechnological synthetic processes and their feasibilities at laboratory levels, pilot scale and industrial scale for mass manufacturing. · Green nanoparticles and green nanotechnologies in the design and development of new medical diagnostic/therapeutic agents, biological sensors, chemical sensors, smart electronic materials, nanoscale robots, environmentally benign breathing devices. Furthermore the Centre aims to provide formal training to students at the undergraduate, graduate and post-doctoral levels in all aspects of green nanotechnology from blue sky to applied, including impact on socioeconomic development, policy development and revision. There was a general consensus that education is the key factor in shaping our future. Prof Loftin, Chancellor of UM said, “We think of resources in terms of tangible things, but the most precious resource is human capital. The strides that UM and UWC have made in staying current with regard to offering course studies that are new illustrates that these institutions are investing heavily in human capital and are committed to providing solutions for future challenges. This entry was posted in environment, nanotechnology and tagged Brian O’Connell, Kattesh Katti, Ken Dean, Ramesh Bharuthram, Richard Bowen Loftin, South Africa, University of Missouri (UM), University of the Western Cape, US, UWC on July 29, 2014 by Maryse de la Giroday.